Connect to their LinkedIn account and share their next business trip destination with their network in one click. Find out which of their LinkedIn contacts reside in the city they are staying in again, see them again or get to know them better and contact them directly using either a personal email or Inmail. 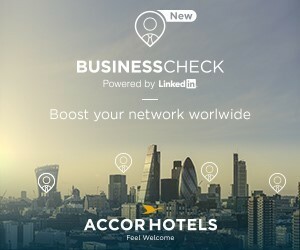 Develop their network thanks to Business Check powered by LinkedIn’s suggested list of relevant profiles residing in their travel destination.